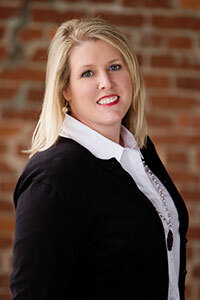 Pam Wheeler joined Southern Properties in 1997 and became a licensed REALTOR in 1999. Pam holds the Certified Negotiation Expert (CNE) designation, Certified Residential Specialist (CRS) designation, Graduate of Realtor Institute (GRI) designation and is an Associate Broker with Southern Properties. Pam has served as Treasurer, Secretary, Vice-President and President for the DeKalb County Association of Realtors. Pam currently serves on the City of Fort Payne Zoning Board of Adjustments. Pam is married to Michale Wheeler. Michale is a machinist with GH Metal Solutions in Fort Payne. Pam and Michale have been married since 1995 and reside on Lookout Mountain with their fur babies....Mallie, Fergie and Baxter. They are avid NASCAR fans and enjoy traveling to different tracks across the southeast where they have met new friends from all around the world. Pam grew up in Cherokee County near Weiss Lake. Pam started in retail, then later worked in banking. Pam earned a business and marketing degree from Gadsden State Community College. Pam has a love of meeting new people and serving the needs of others. Pam will make her schedule flexible to meet your needs and she is eager to put her years of experience to work for YOU!